Quebec bus manufacturer Nova Bus has recalled 600 hybrid models over a steering issue, affecting transit authorities across the province. Montreal’s transit system has taken 285 vehicles off the road. According to the Association du transport urbain du Québec (ATUQ), a driver reported seeing a warning light that forced the operator to pull over. That prompted an inspection. Marc-Andre Varin, director of the ATUQ, says he’s been told each bus inspection takes about 30 to 40 minutes and a short-term repair takes about four to five hours. STM would not confirm to CTV Montreal which routes are affected or how long they expect delays to last, saying commuters should visit its website for updates. The recall also affects dozens of buses used by eight other transit agencies in Quebec. The transit authority in Quebec City said 90 buses have been pulled off the road and that would impact many of its routes. Laval’s transit operator said Friday that it inspected its 83 hybrid Nova buses Thursday night and found they were in good order, so schedules would not be affected. 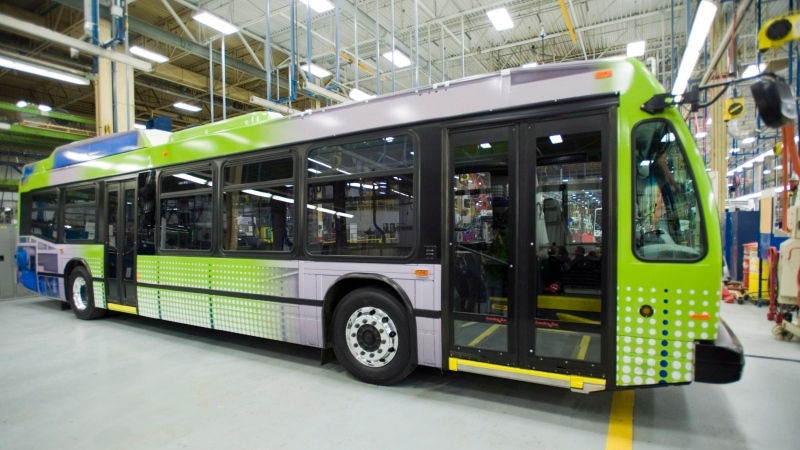 Nova Bus, a division of Volvo Buses based in Saint-Eustache, Que., issued the recall late on Thursday for 600 hybrid buses made between 2016 and 2019.